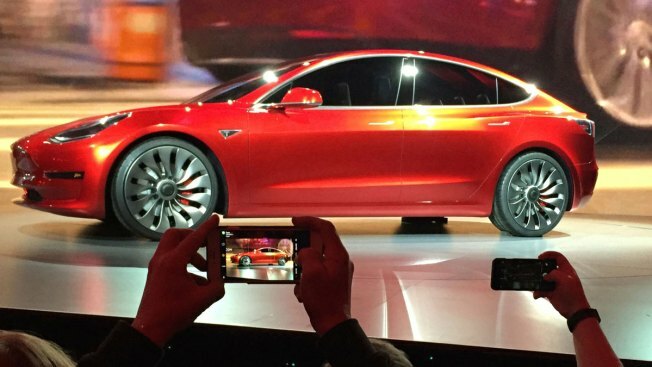 In this March 31, 2016, file photo, Tesla Motors unveils the new lower-priced Model 3 sedan at the Tesla Motors design studio in Hawthorne, California. (CORRECTION, July 3, 2017, 12:23 pm. EST): This story has been corrected to show that production of the Model 3 is to start Friday and that sales will begin July 28. The Model 3's range on a single electric charge was corrected to 215 miles.